Kaley Cuoco has set a new standard for “rustic” weddings. The Big Bang Theory star tied the knot with professional equestrian Karl Cook at a ranch near San Diego on June 30. 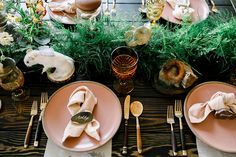 And, if Enjet Media‘s sneak peek of the affair is any indication, we’re going to be seeing several brides replicating her details, decor, and more in the coming season. For a behind-the-scenes look at the beautiful day, we called on not only a fly on the wall, but the videographer behind the film that will be in Kaley and Karl’s hearts—and on their Instagram feeds—for the long haul. What set this wedding apart from others you’ve captured? Kaley and Karl’s wedding day was one of the most unique events we’ve ever captured. Even though there were well over 400 guests, the entire day felt intimate. 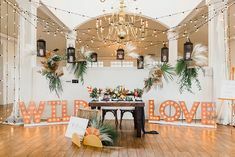 Their beloved animals took part—Insta-famous doggie duo, Norman and Shirley; Ruby, Kaley’s pint-sized, ever-loyal terrier mix; as well as Tank, Karl’s hilariously snarky bulldog all made it happily down the aisle—Kaley’s sister officiated, the barn transformed into a welcoming cocktail hour, and circus performers ushered guests into the party. Being there felt like you were a part of something very special. Of course, the real star may have been Smooshy, the couple’s adorable braid-sporting mini horse! From transforming the barn where guests could connect with the couple’s majestic horses during cocktail hour (before the ceremony) to incorporating a gift donation to nonprofit animal rescue organization Paw Works in leu of gifts, we can’t wait to include these special animal moments in the final wedding film, coming soon. What were the couple’s respective emotions the day of and how do you get those raw moments on film? With Kaley and Karl, it was effortless. They were both completely smitten. To witness pure love and capture their deep connection, both during the rehearsal and wedding day, was bliss. They just enjoy one another and don’t take themselves too seriously. Letting that authenticity shine through the lens is important to us. Stiff poses and over-directing is not our style. We approach each and every film project with a fresh and open perspective to stay true to the couple’s energy, aesthetic, and vibe. When it came to Kaley and Karl’s big day, we simply let them be themselves on-camera. Kaley wanted it to look like an old film, so we very much integrated a ‘gritty’ approach at appropriate times throughout the day and juxtaposed this playful footage with polished, cinematic shots to tell the whole story—all while letting Karl’s energy naturally dictate the edit. The shot in the stables before Kaley walked down the aisle was stunning. This was perhaps one of the most meaningful moments of the entire day—and an important shot to capture from Kaley’s wish list. These horses and these stables are a significant part of Kaley’s life and daily passion, so Enjet CEO and Executive Producer Matt Weddle was insistent on personally executing this shot in a way that was perfectly captured yet nonintrusive to allow the movement and emotion to unfold naturally. From a videographer’s perspective, what were some of the greatest challenges and pains of shooting this ceremony and reception? The greatest challenge filming a wedding is staying three steps ahead of everything. Filmmaking requires elements like audio, lighting, and media management that need to be preplanned and in place well before the bride and groom arrive to the next festivity. Being multiple places at one time to ensure complete coverage and tell the full story, from details to vows to dancing, is an overcome-able challenge but there are no ‘second chances.’ You don’t get to re-shoot. You’re essentially staying ahead of a moving train, and we love it! The best way to combat any surprises along the way is having a communicative and informed coordinator who is in-tune with all vendors. 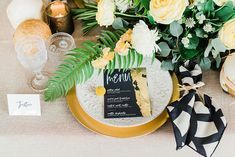 Lauren Tatum kept us in the loop with all details, so we had the time to setup and capture all the incredible moments through the wedding day. Everything was on-time and so well-executed! What were some of the most unique details from the day? 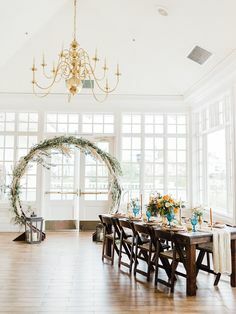 There were so many incredible details that went into the reception. Themed rooms lined the perimeter of the reception tent, which projected lights to mimic a vibrant night sky. From hand-rolled cigars by Mi Havana to a mini Sephora beauty room dedicated to pampering guests from head to toe, to an entire dessert room (my personal fav) and balconies at each end to enjoy the party from above, personal touches added so much to the overall experience. Then there were the breathtaking aerialists, statuesque stilt-walkers, and fire-breathing artists from Zen Arts who performed in front of a long tunnel made entirely of fairy lights that led guests into the tent. Of course, this performance was complete with hand-spun cotton candy, popcorn and late-night tacos to fuel up for a night of dancing! Personally, what facets of the day blew you away most? The couple blew us away. A wedding day goes so fast. It’s hard to slow down and take in any one point. Our favorite part was having a moment with Kaley and Karl before they were announced for their grand entrance. We were outside this spectacular tent with the newlyweds and fabulous photographer Claudia Craig, the anticipation was building, and we were able to capture Kaley and Karl take a breath together and run through a long tunnel of fairy lights for their grand entrance. It’s important to savor those pockets of time, those memories you never want to forget. Capturing these vignettes is one of the most fulfilling parts of being a filmmaker. Being a married couple, we never forget how much of a true privilege and an honor it is capturing these moments that will live on as moving keepsakes forever.